To what extent are you willing to put yourself at risk for the country? 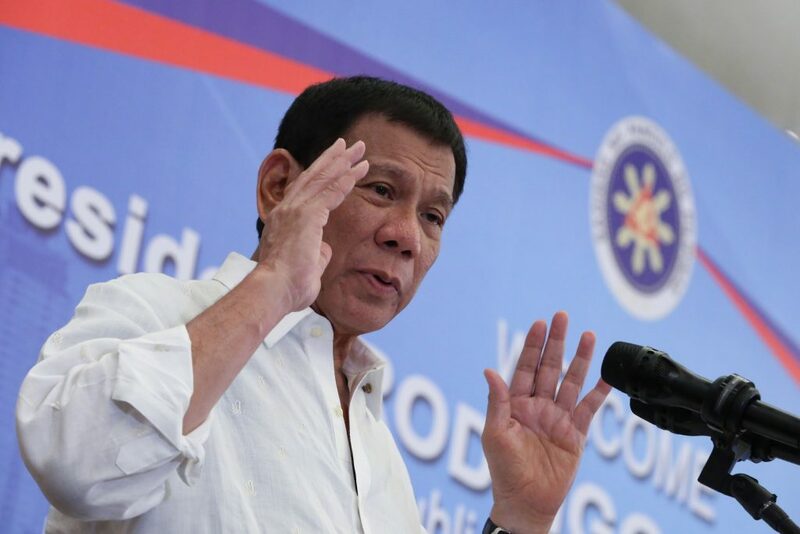 President Rodrigo Roa Duterte clearly stated that he is willing to rob a bank in order to acquire the funds necessary to get the Overseas Filipino Workers (OFWs) in Kuwait home, and we all know that Duterte is a man of word and action. After arriving from the 32nd Association of South East Asian Nations Summit in Singapore, Duterte stated that the money that Xi Jinping, president of China, pledged will go straight to the renovations of medical facilities of the distressed OFWs from Kuwait. "Gamitin ko 'yung pera. Sabi ko, diyan na muna 'yan. Place it in trust. And once we start to withdraw all Filipinos there in Kuwait, maybe I'll tell you the result of our intervention in behalf of our countrymen," Duterte stated. Duterte also stated that it doesn’t matter if he steals, as long as the OFWs will have a better life once they come back. "Though the calamitous events did not occur here but para sa akin kung naghihirap lang 'yung mga kababayan ko, gagamitin ko. Magnanakaw pa ako kung gusto mo. Ako na ang magnakaw sa central bank mismo. But they have to come home." "Maraming nagtatrabaho doon. There are a lot of guys working there for so many years to enable their children to study and finish. And for that matter alone, the sheer help that we had. I'm grateful." "Lahat 'yung nandiyan ngayon 700 facing charges. Wala akong --I do not nurture hate against the Kuwaiti people and government for after all the so many years that we were in the best of relations, nakinabang naman ang mga Pilipino,” he added. Other than that, another challenge for Duterte is the fact that not every OFW in Kuwait wants to go back. "There are about 700 guys who are in temporary shelters seeking sanctuary. We will spend that money. All of it. To the last --- kahit na last na piso natin to get them back," Duterte said. "Ang problema, kung sila ang may kaso hindi sila makalabas. But if I can use the money to pay for whatever utang nila, ubusin ko 'yang pera na 'yan para sa tao," the President added. "Maybe I told Bello and Secretary Cayetano to start the mobilization immediately. Nandiyan 'yung pera. O kung wala pa 'yun napasok sa National Treasury, I can always use emergency fund. To me it's a calamity. It is a calamity." The Philippine President is technically begging the OFWs of Kuwait to return back to the Philippines, assuring them that life goes on anywhere they stay. "Come home. Maski gaano tayo kahirap, mabubuhay tayo." "Economy is doing good and we are short of our workers. Walang master carpenter, wala na tayong master plumber, wala na tayong master electricians. 'Yung plumber sa atin, 'pag flush mo, imbes na papunta ng taas, ah baba, mag-sulpot doon sa itaas. They are all there in the Middle East," Duterte pointed out.